The Clubs and Events Board met Tuesday to discuss current and future activities, including settling on an end-of-the-year celebration date and ideas to better connect clubs for the next semester. One idea that arose was to add a calendar of club events to American River College’s main list of calendars on the front page of the ARC website, considering the relative difficulty of accessing any sort of schedule for club activities. 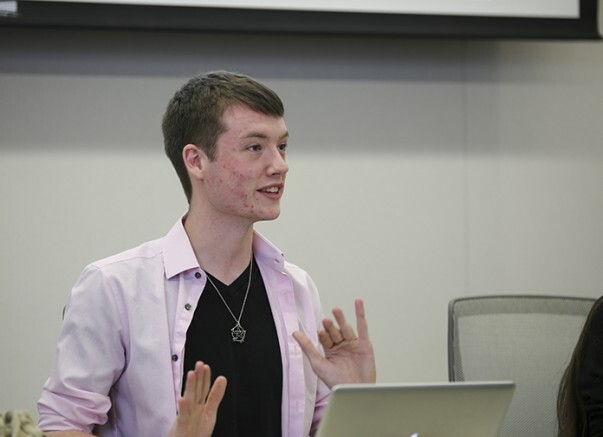 “I definitely think an online calendar with places, times and a little bit of information would behoove the students,” CAEB President Justin Nicholson said of the idea. With some suggestions from Associated Student Body Student Senate President David Hylton II, a motion was put forth and passed with no objections to hold the end-of-the-year celebration on May 19 from 12 p.m. to 2 p.m.
Nicholson said that the CAEB had a “significant amount of money left over from the Kaleidoscope Games” that they could put toward the end-of-the-year celebration. For the following semester, he also tossed around the idea of another such event being hosted in which clubs would compete in games that certain clubs would have an advantage in. “I would like to have more games that certain clubs have a significant advantage in, and that other clubs have to work together for. … I feel like that, as underdogs, we get really competitive,” Nicholson said. Adviser Juan Blanco also discussed packets being distributed to clubs, saying that it’d “be a way to start the year off on a good note” by both recognizing the success of clubs across campus and distributing information to them. Other ideas discussed were more direct communication in the form of a new external affairs position, exposure through electronic media on campus and a dedicated webpage of calendars and events for clubs that would be more accessible. Club Days for the upcoming semester were tentatively set for Sept. 27, Oct. 27, Nov. 17, Feb. 9, and March 16. The date of April’s Club Day took the longest to settle on as no one’s schedules matched up. “April 20 is definitely not the world’s favorite day. … (It) has had so many connotations throughout history that it’s honestly getting ridiculous,” Nicholson said. Hylton responded to Nicholson’s claim and said “I like April 20, I just don’t like to be at school (on April 20),” in speaking for other students. When Nicholson asked for any criticisms on the CAEB’s activities or his activities throughout the semester, there was a moment of silence in lieu of discussion followed by applause by all present parties for his work and dedication. Be the first to comment on "CAEB looks toward next semester at final meeting"